The patent system was allegedly designed to allow recovery of the investment in research and development (R&D) of a new product, through the selling of the product under exclusivity for a period of time. Several studies have related high prices of medicines to the monopoly situation established by the patent system and other monopoly rights (such as data exclusivity). It is known that the existence of a patent can lead to high prices due to the market condition in which one producer can operate with exclusivity. In the absence of competition, a producer can charge virtually any price for its product. Competition, therefore, can promote significant price reduction and increase access. Brazil is frequently pointed to as one of the countries in which fewer pharmaceutical patents are granted. For example, a study conducted by Carlos Correa in 2013 shows that in Brazil, 278 patents were granted between 2003-2008, whereas in Argentina, 951 pharmaceutical patents were granted between 2000-2007; in India 2,347 from 2005-2008; and in South Africa, 2,442 patents were registered in 2008 alone. The fact that there is a low number of pharmaceutical patents granted in the country could lead to the conclusion that medicines can be bought under competition (keeping in mind that Brazil does not grant data exclusivity for medicines for human use) and that the prices would be low. However, many medicines in Brazil are bought exclusively from one producer and usually at high prices. In the past years there has been a significant increase in public spending on medicines. A study shows that while the spending by Ministry of Health on medicines increased by 74% from 2008 to 2015 (from BRL 8.5 billion to BRL 14.8 billion), the federal health budget only increased by 36.6% in the same period. While increasing public spending on medicines may reflect an increase in the number of individuals being treated, on the other hand it can also mean an increase in spending on high-price drugs, many of which are under monopolistic situations due to the patent system. In the absence of granted patents for pharmaceuticals, what are the factors that lead to the situation of no competition and high prices in Brazil? The situation of few granted patents, but many purchases under exclusivity due to absence of competition (which can lead to higher prices), is what we are calling the ‘patent paradox in Brazil’. This is the question that we, at the accessibsa: Innovation & Access to Medicines in India, Brazil & South Africa, aim to answer with a study currently being conducted at the Department of Medicines Policy and Pharmaceutical Services (NAF) of the Sergio Arouca National School of Public Health – ENSP/Fiocruz. The objective of the study is to conduct a comprehensive data gathering and analysis of purchases of medicines by the Brazilian Ministry of Health (MoH) from 2005 to 2016. The medicines included in the scope of the study are those that had only one supplier in the Brazilian market in the year 2016. We will look at the type of tendering that was applied to each purchase, the number of producers with market authorisation in the country, the patent status of each product. We will compare Brazilian prices with prices in the international market to examine how the patent paradox operates in Brazil and its implications for purchase of medicines by the Brazilian public health system – Unified Health System (SUS). We intend to use the results to create a better understanding regarding the purchases of medicines by the Brazilian public health system and the implications of the patent system, even in the absence of granted patents in the country. We also intend to explore solutions that can be applied by public officials, especially when procuring the medicines, in order to minimise the impact of the patent paradox in Brazil. Final results are expected to be released mid-2018. Within a country, there are many factors that can lead to the existence of only one supplier of a pharmaceutical product. One main factor is related to the dynamic of the patent system. Even in the absence of granted patents, the patent system can create a de facto monopoly, i.e., the situation in which there is no patent granted in the country for a given product, but it is “subject to patent protection” due to a patent application pending examination. That situation generates “legal uncertainty” around the patent status of a medicine due to the existence of pending applications and the possibility of having to pay compensation in case the patent gets granted in the future. This dynamic of the patent system is not specific to Brazil but rather a reality of how pharmaceutical companies operate to maximise exclusivity over their products, through the so-called ‘life-cycle management’ by pharmaceutical companies or ‘evergreening’ by its critics. This situation increases the total number of patent applications to be processed by the patent offices and increases the legal uncertainty around the patentability of a drug. The situation is aggravated in the Brazilian context due to the very high average time between the filing of a patent application and its examination. Recent data from WIPO shows that Brazil is the country with the highest average pendency time (95.4 months). This dynamic of the patent system creates a situation that interferes with the purchases of medicines and health products in Brazil, i.e. there are products subject to patent protection by several patent applications with different statuses at a given time, such as – granted, rejected, pending or abandoned/withdrawn. In the absence of granted patents, the applications that are still awaiting examination (‘pending patent applications’) can generate legal uncertainty around the patent status of a product, blocking competition. In the problem that we are addressing, this means that during pendency time, purchases of medicines by the public sector can be made without tendering and exclusively from one supplier (monopoly) even in the absence of a granted patent or other monopoly rights. The lack of competition can result in high prices. Even if there could be legal production or import of a generic version of the medicine during the pendency time, pending patent applications can be used to create a monopoly situation for the supply of a medicine. This is despite generic alternatives being available in the international market. Pending applications can be used by pharmaceutical companies to create pressure against the procurement or local production of generic versions, especially for purchases by the public sector. Data from the HIV/AIDS and Hepatitis C fields can be used to illustrate the patent paradox in Brazil. In 2015, out of the 19 ARVs used in Brazil, 13 were bought exclusively from one producer. Out of those 13, preliminary data shows that only 2 have a primary patent granted in the country; 7 have only secondary patents granted and the other 4 only have patent applications pending analysis, 2 of which are only secondary patents applications. Out of the 3 new direct active antivirals (DAAs) used in the treatment of Hepatitis C, all 3 are being bought in a monopoly situation, despite not having any patents granted in the country, but many pending applications. The case studies presented below reveal different effects of legal uncertainty created by pending patent applications on the public purchase and local production of medicines in Brazil. These cases exemplify a broader scenario that we aim to fully investigate. The antiretroviral (ARV) tenofovir disoproxil fumarate (TDF) was incorporated by the Brazilian public health system in 2003. It was commercialised, with exclusivity, by the US company Gilead until 2010, when a Brazilian generic version started to be supplied to the government. The first generic version of TDF was available in the international market in 2006. The first patent application related to TDF in Brazil was presented by Gilead in 1998 for the fumarate salt of the pro-drug (PI9811045-4), a secondary patent application not covering the base compound. In 2005 and 2006, public manufacturer Farmanguinhos/Fiocruz and civil society organisations of the Intellectual Property Working Group (GTPI) presented pre-grant oppositions challenging the patentability of TDF in Brazil. In 2008/2009, the Brazilian patent office (INPI) issued its first and then its final decision (after administrative appeal) rejecting the patent. The first generic version of the medicine was available in the country in 2010, being locally produced by a public laboratory. During the time when there was ’legal uncertainty‘ on the patent status of TDF in Brazil due to pending patent applications (even if it was a ’secondary patent‘), Gilead enjoyed a de facto monopoly in public procurements. Gilead is also pursuing other evergreening strategies around tenofovir, such as presenting a new patent application for a fixed-dosed combination (FDC) covering TDF+emtricitabine (truvada®). The application was presented by Gilead in 2004 and was rejected by the Brazilian patent office in January 2017, following patent oppositions presented by GTPI in 2010 and 2016 (PI0406760-6; WO/2004/064845). Gilead filed an administrative appeal in April 2017, which is still pending a decision. Meanwhile, the Brazilian MoH concluded the first purchase of 3.6 million pills of truvada® with exclusivity from Gilead at the cost of USD 0.75 per pill, even though there are generic versions available in the international market at the price of USD 0.13. If Brazil had taken the decision to buy the generic version of the medicine (as there is no patent granted in the country), it could have saved more than USD 2.2 million. The breakthrough medicine for the treatment of Hepatitis C sofosbuvir (sovaldi®), also commercialised by Gilead, is another example of how pending patent applications generate a de facto monopoly in Brazil. We could initially identify 15 patent applications related to sofosbuvir in Brazil, the oldest dating from 2001. No patent has been granted in the country to date. Recently, in May 2018, one of the applications was rejected by the patent office. All the other patent applications for this compound are still awaiting examination. However, during the pendency time Gilead enjoys a de facto monopoly over the sales of the medicine, which started in 2015. The last purchase was made at a price of USD 50 per pill, which amounts to around USD 4,200 for each standard treatment of 12 weeks. There are generic versions that could be exported to Brazil at a fraction of the price charged by Gilead, around USD 185 for the same 12-week treatment. The savings with the purchase of the generic version could be around USD 170 million per year. However, due to an undue monopoly based only on pending patent applications, it is still being bought from Gilead with exclusivity, leading to an overspending of public resources. The first patent application related to the darunavir base compound (PI9607625-9; WO/1996/28465) was presented in Brazil in 1996. This patent was granted in 2007 and was abandoned in 2011. In total, 18 patent applications related to darunavir were initially identified in Brazil. Half of the 18 applications have already been rejected or abandoned/withdrawn and the other 9 are still pending examination by the patent office. The pending applications are deemed to be secondary applications, according to a study conducted by GTPI, a group of Brazilian civil society organisations active in the subject. Darunavir was incorporated in the Brazilian public health system in 2008. Since then it has been bought with exclusivity from Janssen-Cilag (except in 2016), even in the absence of any granted patent since 2011, when the patent was abandoned by the company. 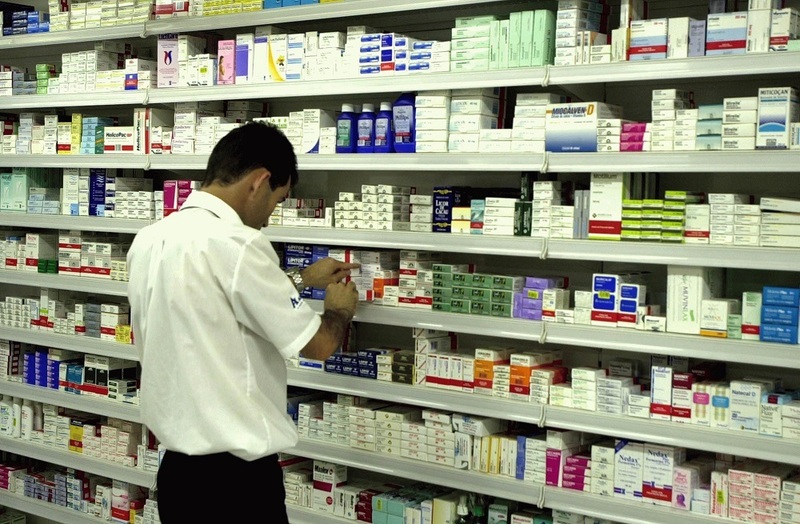 In 2015, Mercosur countries launched a joint mechanism of procurement of selected high cost medicines, which includes the possibility of procurement from WHO prequalified generic producers. Darunavir was one of the medicines included in the procurement list. Data from the Brazilian MoH shows that in 2016 the medicine was partially bought from Janssen, at the price of BRL 9.60 (USD 2.75), and partially from Aurobindo through PAHO/WHO, at the price of BRL 4.34 (USD 1.24). However, in 2017 it was bought again only from Janssen under a modality of public purchase without competition. In 2017, it was at a price of USD 2.42 per pill (600mg), while there are WHO pre-qualified generic versions available at the international market at a price of USD 0.90 (600mg). If the generic version would have been bought, considering only the volume bought in 2017, It would have saved the Brazilian public health system more than USD 27.6 million. The cases mentioned above draw attention to a much bigger situation, which can potentially affect the procurement of several medicines by the public health system, especially the ones with higher prices. Therefore, if the savings of public resources estimated above were to be calculated for all medicines under the patent paradox, the potential savings would be even more impressive. This article summarises the work expressed in our current paper, “The Patent Paradox In Brazil: Implications for purchases of medicines by the public health system.”, in which we set the scene for a much larger and more comprehensive forthcoming study. We will be looking at a list of about 80 medicines – which have only one supplier in Brazil – bought by the Brazilian MoH in a 10-year period. The aim is to understand the main reasons leading to that situation, with special focus on the patent status in the country. We aim to highlight a situation that is still not discussed enough in the country, and to propose recommendations for changes in regulations and practices, in order to minimise the impact of the patent paradox in Brazil. Taken together, changing the status quo can potentially result in government savings of hundreds of millions of dollars, amounts can be used for the improvement of the public health system as a whole, rather than being wasted on unnecessarily expensive medicines under (undue) monopoly. Marcela Fogaça Vieira is a graduate of Law (2006), who specialised in Intellectual Property Law and New Technologies of Information (2010) and holds a master’s degree in Health Policy and Management (2015). She has been working with access to medicines and intellectual property issues in civil society organisations in Brazil since 2005, and has consulted for several international organisations. She is currently a consultant for the Shuttleworth Foundation, on the accessibsa project. Gabriela Costa Chaves is a graduate in Pharmacy (2002) and holds a master’s and Ph.D. in Public Health from the Oswaldo Cruz Foundation (2005 and 2015). Since 2013, she has been working as a researcher with the team of the Department of Medicines Policy and Pharmaceutical Services (NAF) of the Sergio Arouca National School of Public Health – ENSP/Fiocruz. Previously, she has worked for many years with national and international organisations on access to medicines in Brazil and Latin America, a subject on which she has published extensively. This article summarises the work expressed in our current paper, “The Patent Paradox In Brazil: Implications for purchases of medicines by the public health system.” Please refer to the full document for references of the information used. "The Patent Paradox In Brazil And Its Implications For Access To Medicines" by Intellectual Property Watch is licensed under a Creative Commons Attribution-NonCommercial-ShareAlike 4.0 International License.